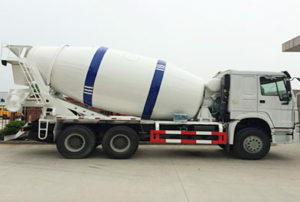 A small concrete mixer truck is useful for different projects, especially small scale concrete project, for example general concrete projects, repairing road, rapid setting concrete project, flowing fill concrete project, municipal applications, overlaying concrete project, roller compacted concrete project, and self-consolidating concrete project. 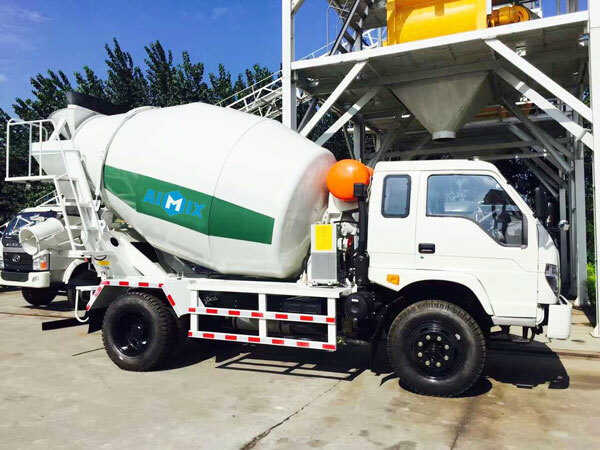 Small concrete mixer truck has become more and more popular. Although small concrete trucks have small size and volumes, they still act perfect performance to transport fresh concrete from a long distance. Moreover it is more portable, easy to turn around and easy to access into work sites. 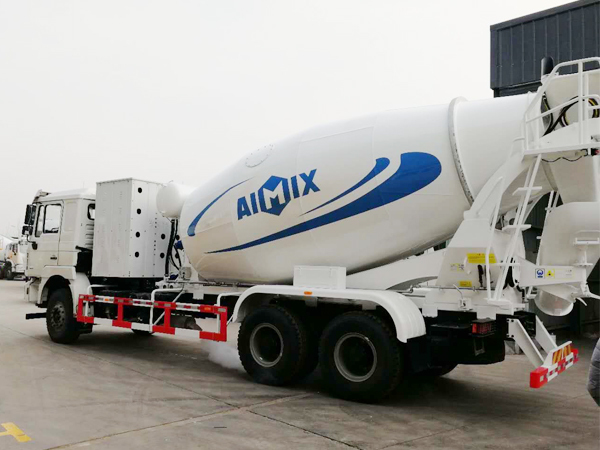 We aimix group as one of largest concrete mixer truck manufacturers more than 30 years, we have advance technology and competitive price than other manufacturers. 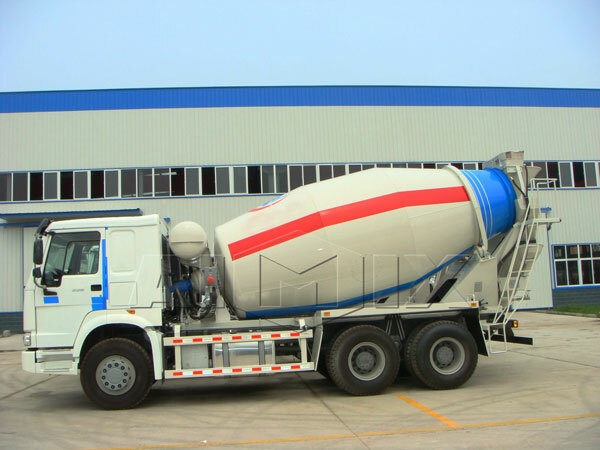 Our concrete mixer trucks for sale have been exported to many countries, such as Algeria, Australia, Bangladesh, Brazil, Colombia, Pakistan, Canada, USA, Russia, Ethiopia, Philippines, etc. 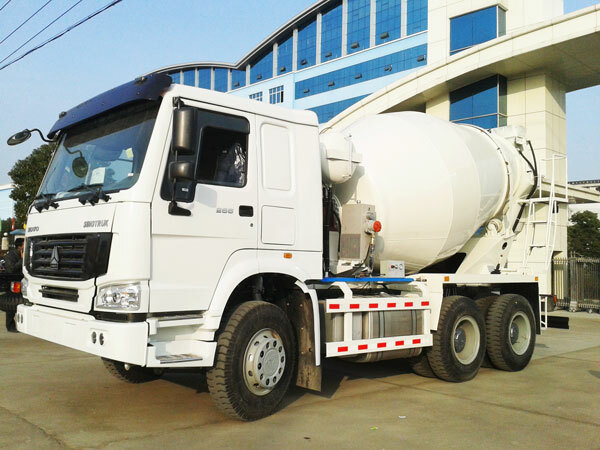 Small concrete mixer trucks have grown to be quite popular with most of the construction industry today. 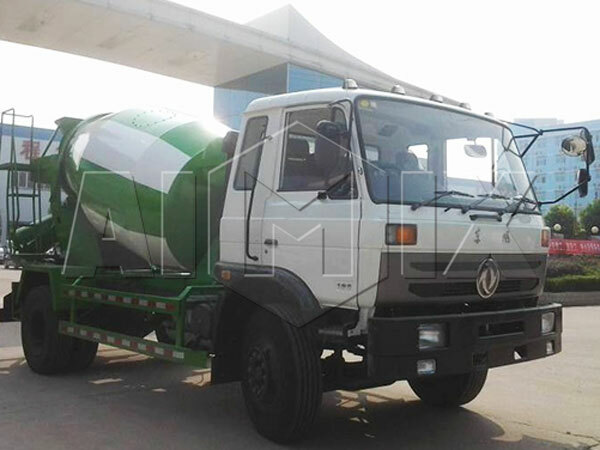 Due to many advantages of small cement mixer truck. 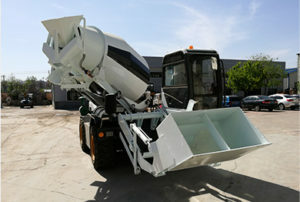 The main benefit is its ability to provide constructors with fresh concrete at any time you need it. 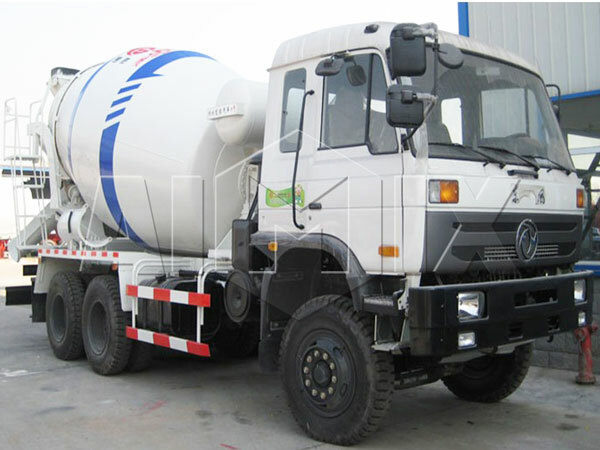 Small concrete mixer truck for sale mainly consists of two parts, chassis and upper device. 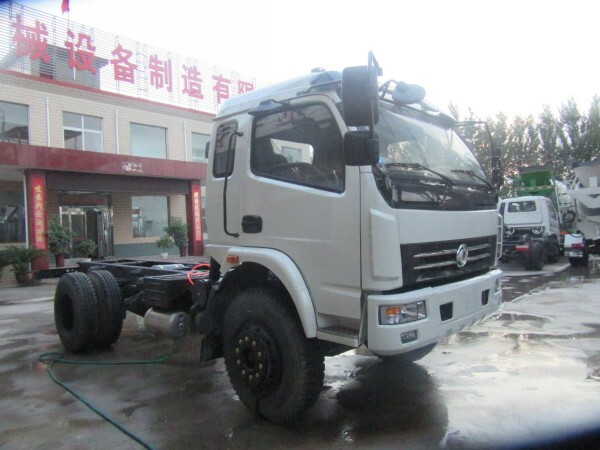 A upper device which includes chassis system, hydraulic transmission system, mixing tank, discharging system, cleaning system, auxiliary frame, control system, wheel system, feeding system, circuit system etc. 1. 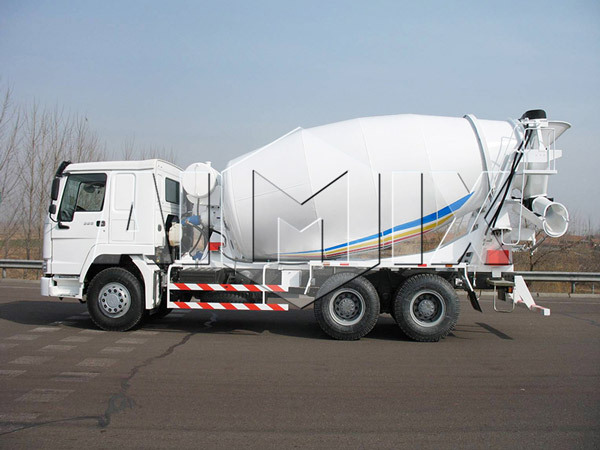 Chassis system: the main component of small concrete truck. 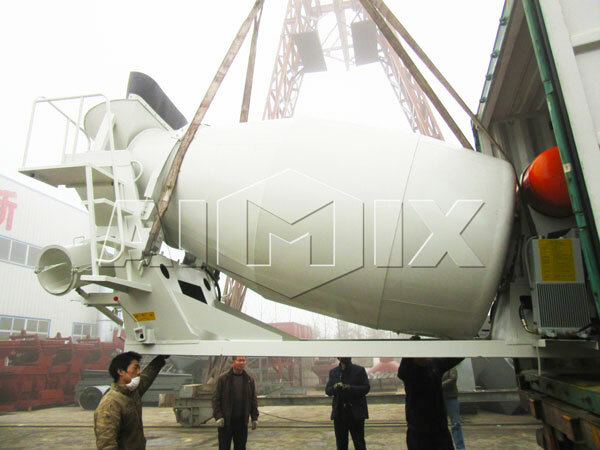 Because the transport function of the whole concrete mixer is realized by the chassis. The chassis is generally adopted the second – class chassis. 2. 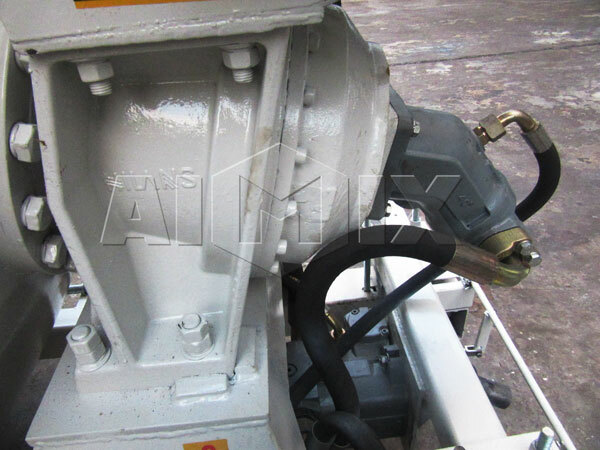 Hydraulic transmission system: taking out the power from the engine machine to hydraulic pump. Then through the hydraulic motor output as mechanical energy (rotational speed and torque) for rotation of mixing drum. 3. 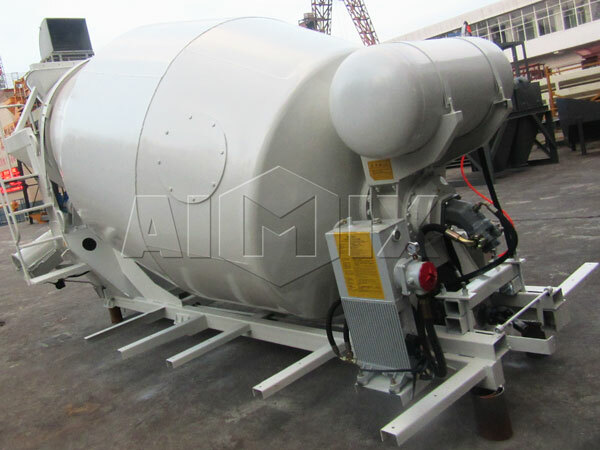 Mixing tank: the mixing tank is the key part of the whole small concrete truck mixer. It is a container for storing concrete. There are spiral blades inside the tank, which are mainly used to stir and guide the material. 4. Discharging system: it is mainly composed of main discharge chute, auxiliary discharge chute, locking lever and so on. The auxiliary discharge chute can take effect in extending the length of main discharge chute. 5. Cleaning system: the cleaning system is mainly composed of pressure water tank, water gun, water pipe and valve. 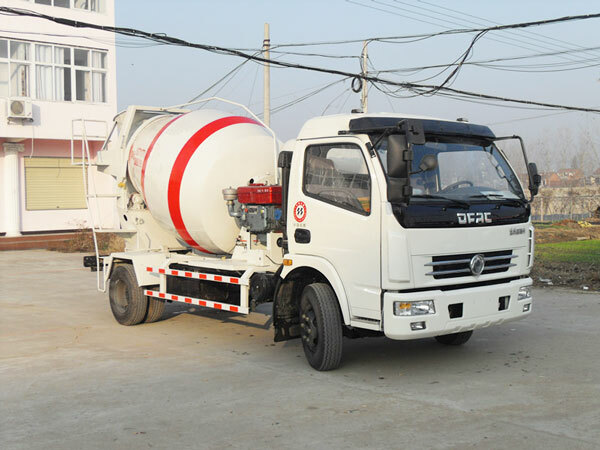 The main function of using pneumatic water supply is to wash the mixing drum and discharge chute after the small concrete trucks for sale finish the delivery work. The aim of this system is to prevent concrete from bonding together. 6. 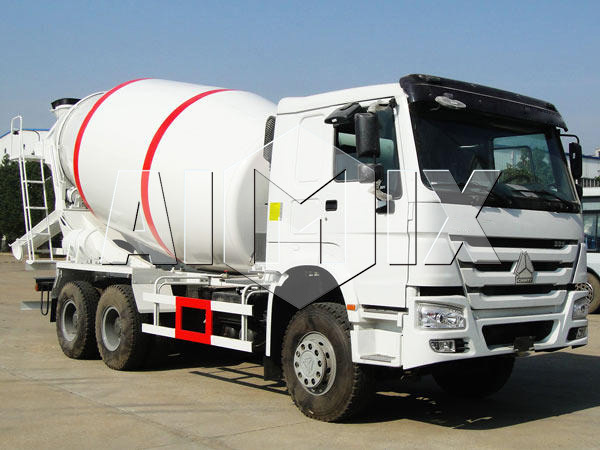 Auxiliary frame: the frame of small mixer truck is the main load-bearing part. And the load weight is almost passed to the chassis through the auxiliary frame. 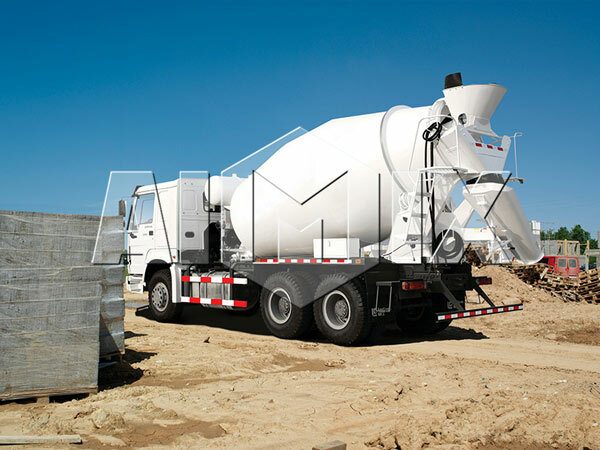 The auxiliary frame also can absorb shock when small load concrete trucks travel on the bumpy roads . The entire auxiliary frame consists of the main beam, the front support frame and the backstage support frame. 7. 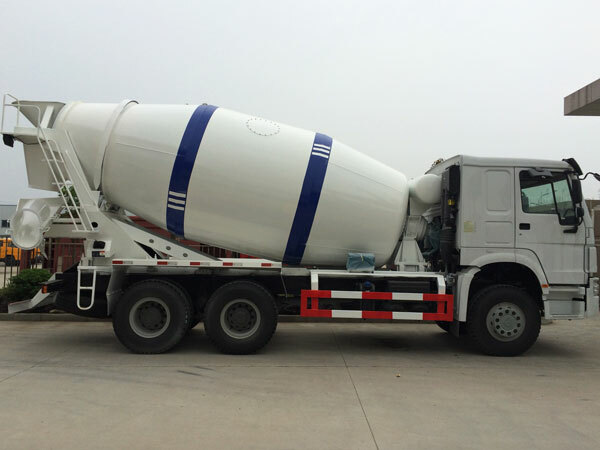 Control system: the control system of small concrete truck delivery consists of the controller, the linkage shaft and the flexible shaft. 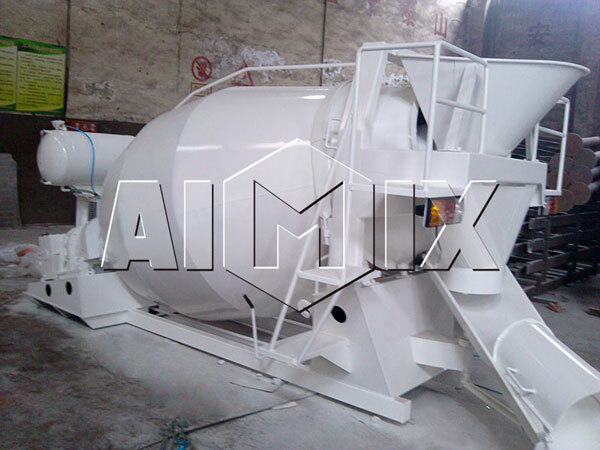 It mainly controls the rotating speed and rotation direction of the mixing drum. 8. Supporting wheel system: the joint part of the mixing tank and the auxiliary frame, which mainly supports the cylinder body. 9. Feeding system: it is mainly composed of feeding hopper and bracket. Feeding hopper is very abrasive part due to strong impact wear, so the making materials are required to be good wear resistance. The bracket mainly reduces the impact force. 10. 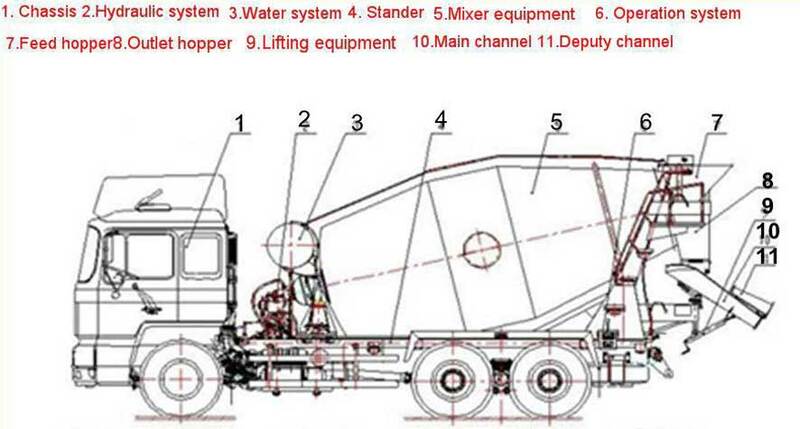 Circuit system: it mainly refers to the whole circuit of the small load concrete trucks. 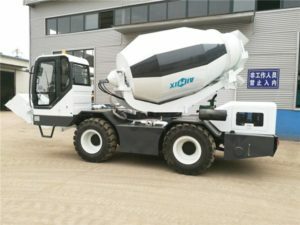 It mainly includes the tail light of the small concrete truck delivery, side sign lights, corridor lights, cooling fan motor and so on. 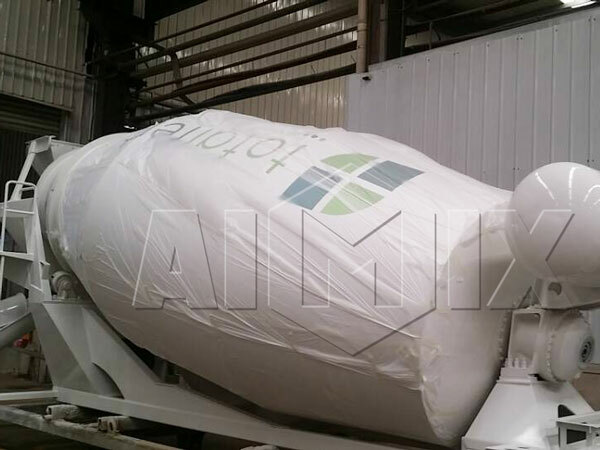 1、Feeding hopper 2、fixed discharging chute 3, gate shape bracket 4, movable chute regulating rotary table 5、movable chute regulating arm 6、 movable discharging chute 7、mixing drum. 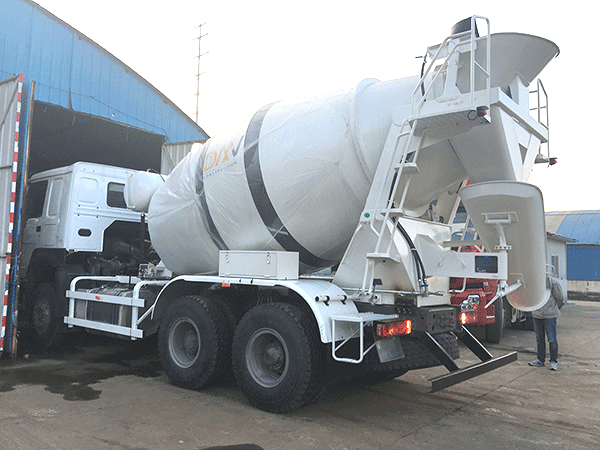 Drive control system structure of small concrete truck mixer1、engine 2、fuel tank 3、hydraulic pump 4、hydraulic motor 5、reducer 6、controlling joystick. The Power Take Off transits the power taken out from the engine to a small drive shaft. After that the small drive shaft drives the hydraulic pump and the hydraulic motor for running. Then the power taken from the hydraulic system to a speed reducer, finally drives the mixing drum to keep rotating . 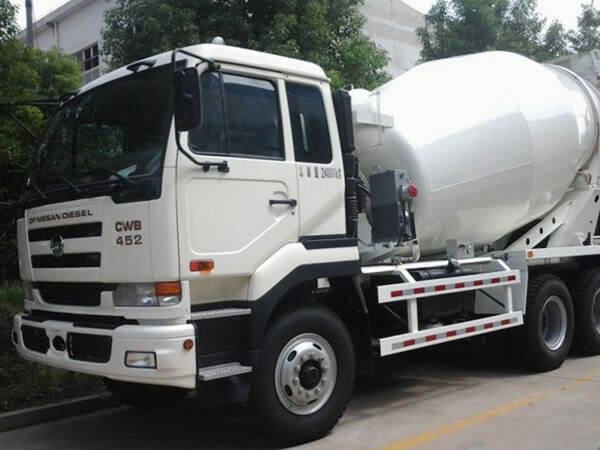 During the transportation of concrete, it is necessary to keep the mixing tank at a low speed of 1-3 RPM. This performance aims to ensure the uniformity of the concrete, and to prevent concrete segregation. When feeding concrete, the mixing drum of concrete truck always has a faster speed of rotating, speed of 6-10 rotations per minute (RPM). 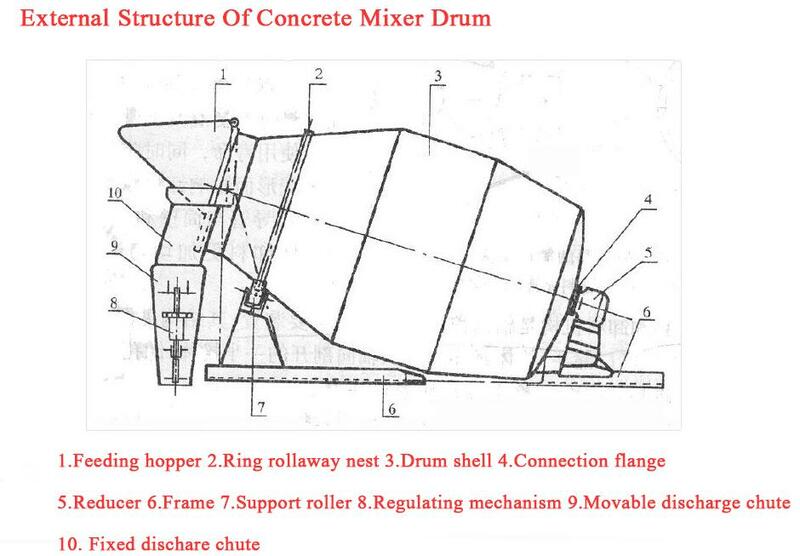 Concrete through feeding system enters into the mixing drum. 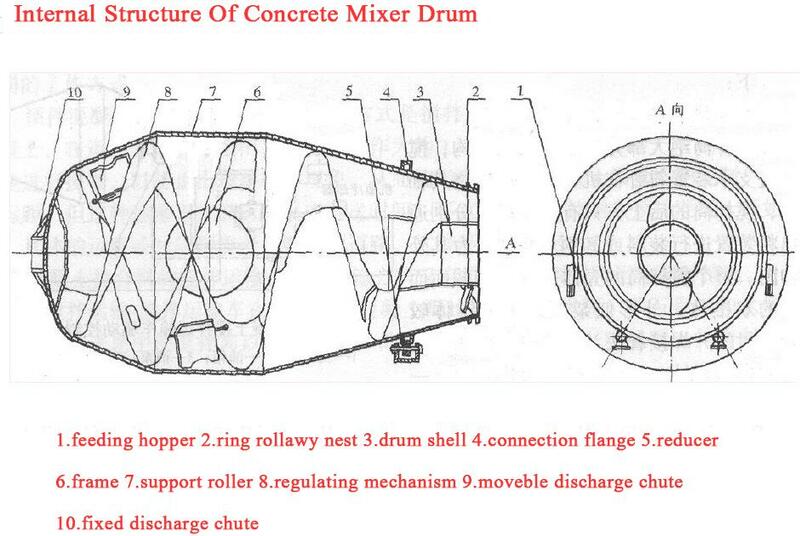 Under the guidance of spiral blades, concrete can flow in the lower middle part of mixing barrel. 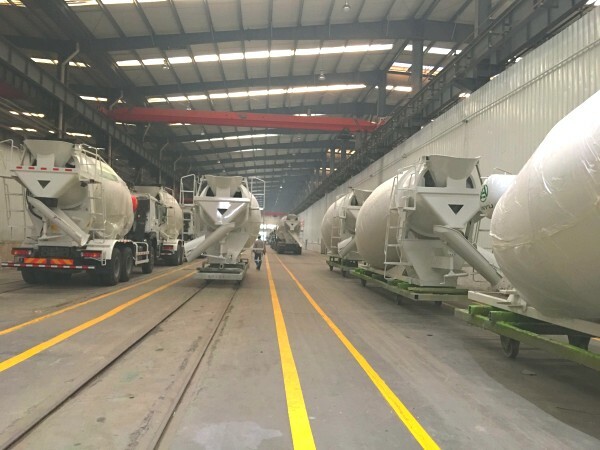 When the concrete mixer truck is discharging, with the help of PTO, the engine will transfer the power to the mixing tank, hydraulic pump, and speed reducer. The power will turn the tank, and the rotating speed will be 3-14 RPM. The concrete moves to the direction of the cylinder outlet under the guidance of the blade spiral motion. Then concrete will be discharged through the hopper of the mixer truck. The rotation direction of the tank is opposite to the direction of feeding process. Principle of cleaning function: the water tank is pressurized by the storage tank system, and the water is pressurized to flow out to clean the tank system, feeding hole, unloading system and so on. We have largest factory, advanced technology, professional service. That is way so many customers choose concrete mixer trucks from aimix group. We always welcome customers from all over the world to visit our factory and office buildings. If you want, please contact us, we will arrange professional staff to service you. 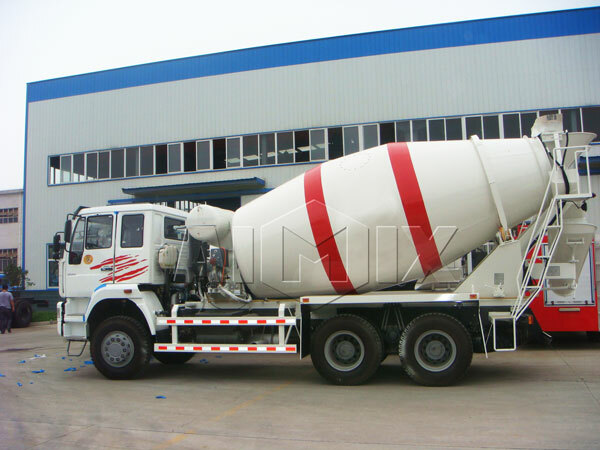 There are various types of concrete trucks for sale in our company, such as ready mix concrete truck, transit mixer truck, self loading concrete mixer truck, and we also can meet your need of customization. 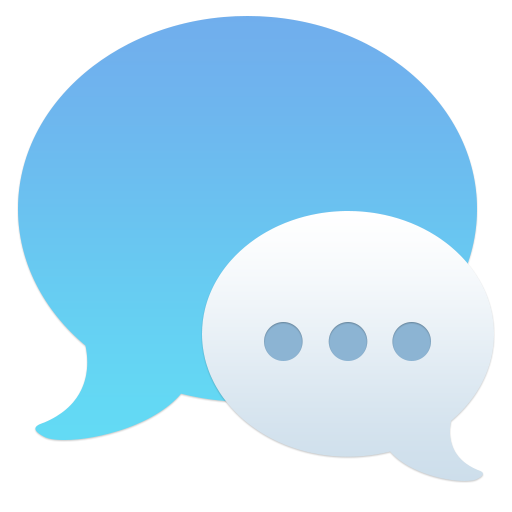 You are very welcomed to contact us, we will never make you regret .